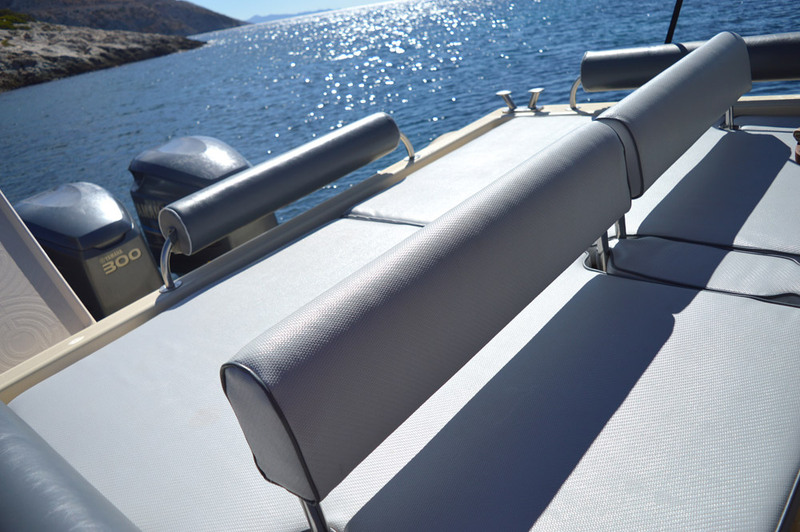 The ultimate Seafarer RIB even in extreme weather conditions! 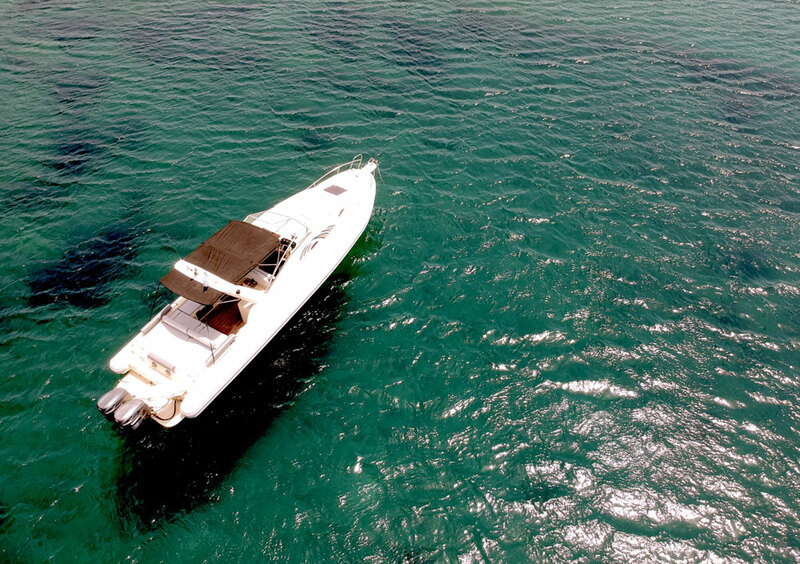 You can’t find a smoothest ride in the market today! 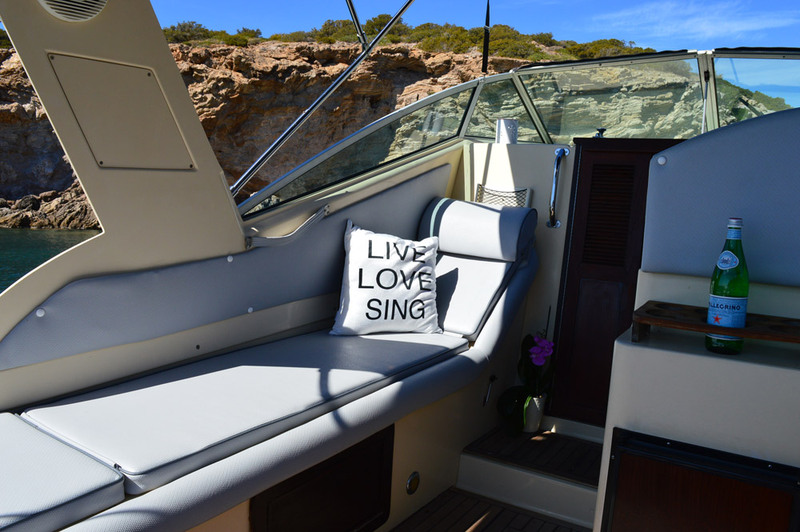 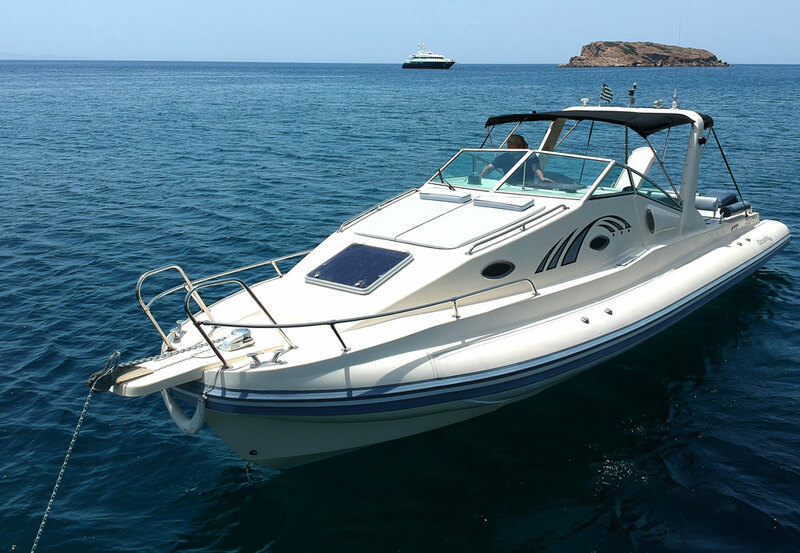 This magnificent cabin boat combines the unique safety features of inflatable boats and the comfort of large cruiser boats. 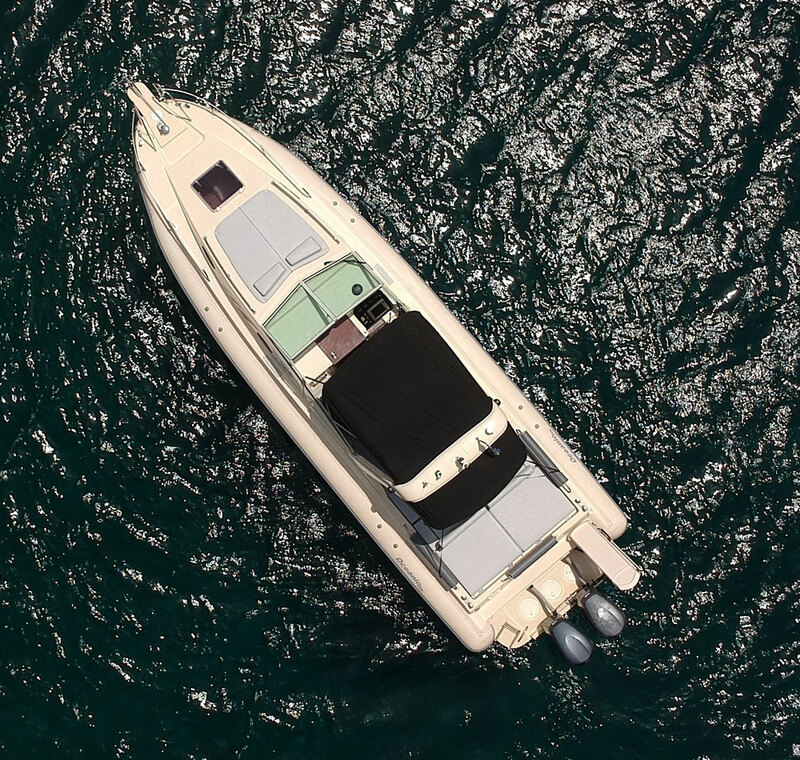 It can accommodate at least 4 persons in its spacious cabin for days and 10 passengers on its deck! 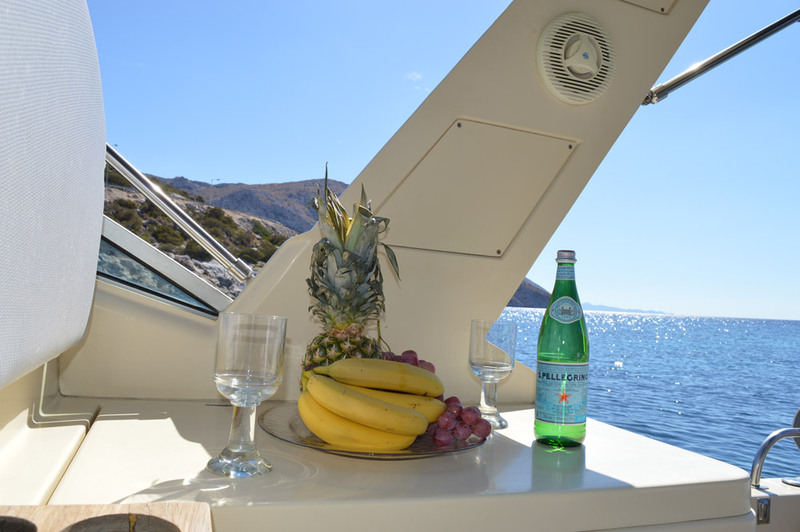 This boat combines low fuel consumption costs and it can travel you anywhere in the Aegean Sea offering a safe and smooth riding quality.The boat has been fully refurbished in 2017 (interior and exterior) and it is fully equipped with luxurious and hi-tech equipment. 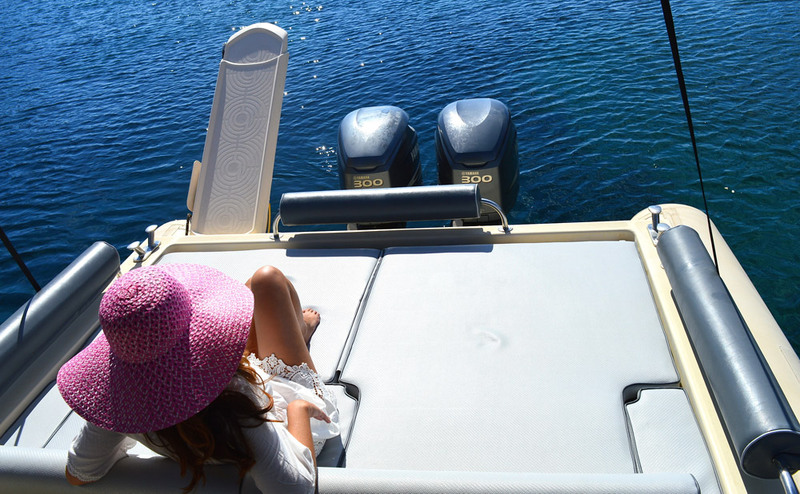 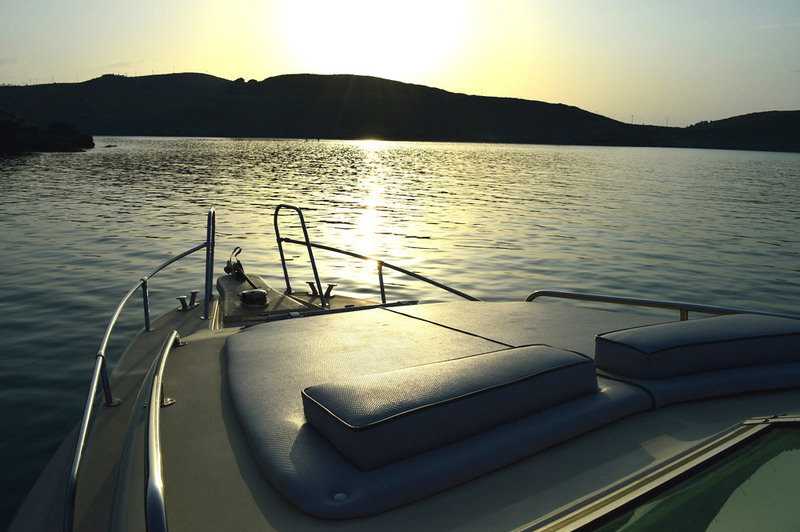 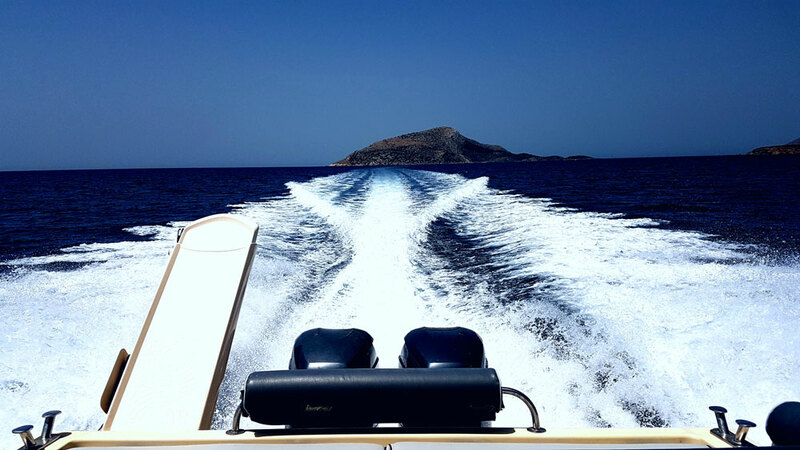 You can rent the boat either from the Athens Riviera or we can arrange to be delivered to a destination of your preference. 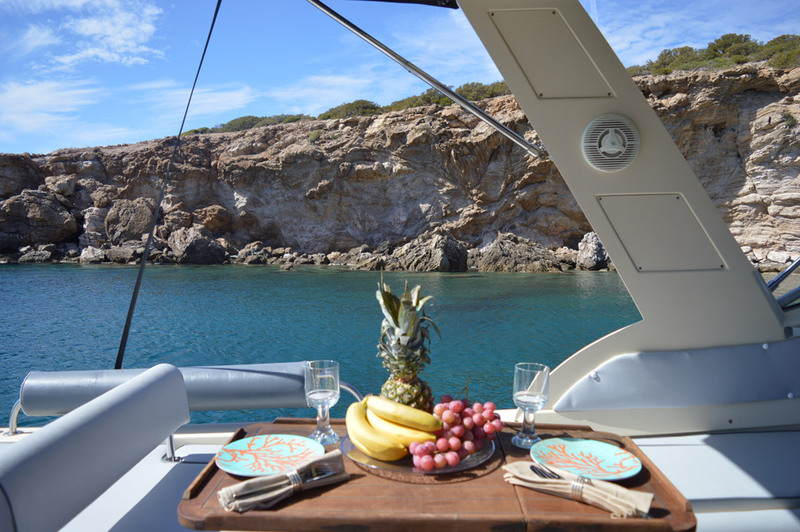 The exterior deck is extremely comfortable and functional, inviting for early sunbathing as well as throughout the day dining area. 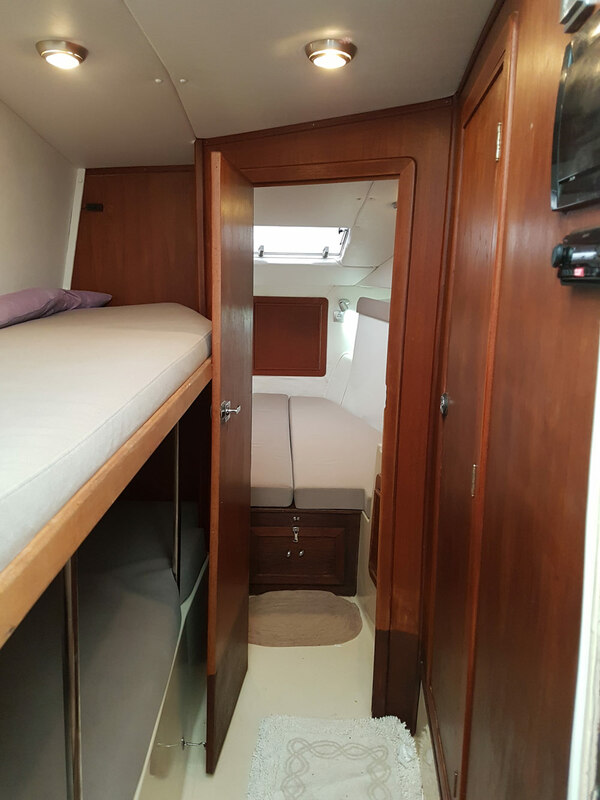 The main cabin has two singleberths and 3 storage compartments. 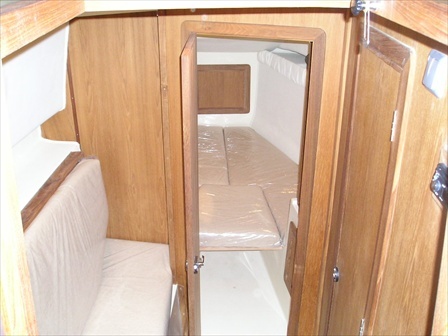 Captain’s cabin has a twin bed with a closet. 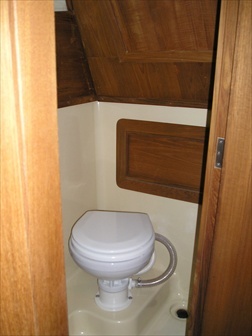 The cabin boasts a fashionable, comfortable and spacious design outfitted with leather and teak wood fittings.